OPPO, here in Nepal, has been able to win over the hearts of people. 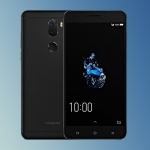 They have been successful in wowing the customers with their camera-centric smartphones at an affordable price. 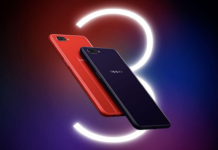 Following the same mantra is the brand new OPPO F9! Priced at Rs 45,590, the F9 bring all the previous goodness along with a few new tweaks. But is the phone worth it? Is it the best premium mid-tier smartphone under Rs 50,000 here in Nepal? Well, let’s find out! 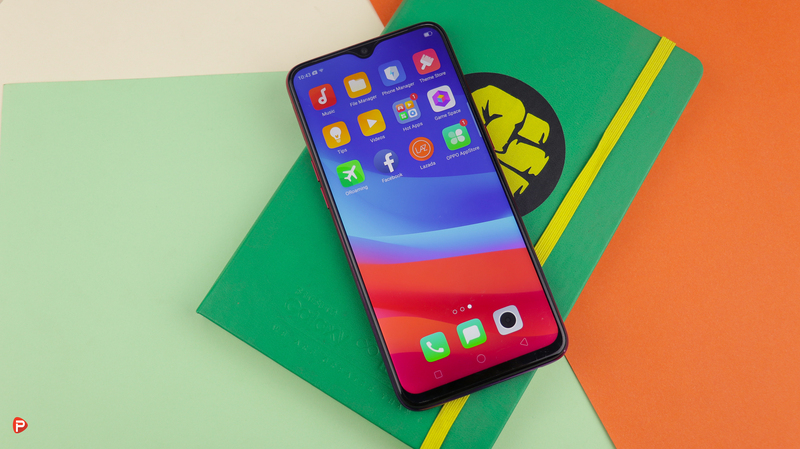 The OPPO F9 arrived at our office four days ago, and I have been using it ever since. The phone, itself, comes in some pretty good packaging with a white lid and colorful graphics representing the product. Popping off the lid, you are greeted by another small box containing the sim-ejector tool, the usual user manuals, and the transparent TPU case. Moving that aside, the next item inside the box is the phone itself in all of its glory. Keeping the phone to the side and removing the plastic divider, we get a look at the last three items inside the box. OPPO has finally listened to their customers and packed in a VOOC charger along with a micro-USB cable and a pair of normal earbuds. Going back to the phone, on initial impressions, it feels and looks amazing! The glass on glass design surrounded by a metallic chassis screams quality all around. Something worth talking about is the phone’s unique diamond pattern back panel that shifts color. 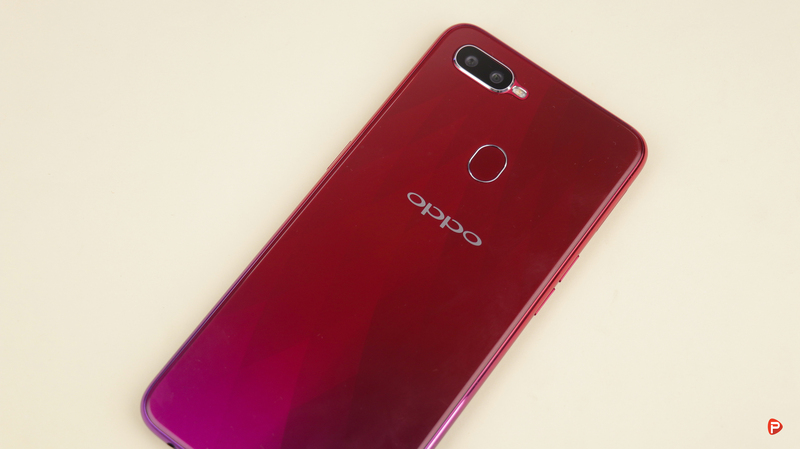 The Sunrise Red color option that we received of the OPPO F9 shifts from a Red to a purplish-pink. The phone also comes in a Twilight Blue color which shifts from a blue to a black. 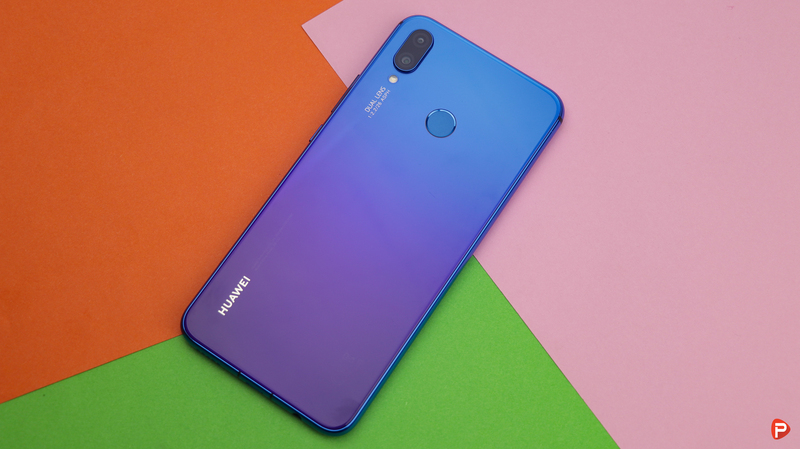 If I were buying the phone, I would probably go for this color option. 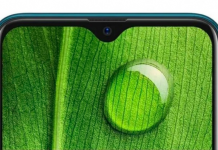 Before talking about the display let’s talk about the most defining feature of the phone, the waterdrop notch. Gone are those clunky and space-consuming notch! Enter the waterdrop notch that takes up less space but still provide the usual functionality. Me, personally I hate the notch but at least now it is more bearable. This infamous notch sits atop a 6.3 inches 1080×2340 IPS display with a 19.5:9 aspect ratio. The display is covered by a Corning Gorilla Glass 6 which is amazing. Not only the physical aspect but the display itself is very good! Though being an IPS display, it is very vibrant with a variable scale of brightness level. Watching some Youtube videos and firing up a quick game was a pleasant experience on this phone. 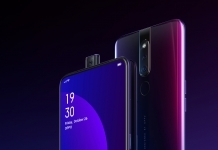 Under the hood, the OPPO F9 packs an octa-core MediaTek MT6771 Helio P60 processor along with the Mali-G72 MP3 GPU. Backing up all that silicon is 6GB of RAM and 64GB of internal storage. There is also a 4GB RAM variant available for a slightly lower price. These combinations, nonetheless, make up for a pleasant experience. The phone was easily able to handle everything I threw at it. Everything from scrolling through Facebook to playing graphics intense games was a smooth experience on the phone. Moving on, at the software front, the F9 runs Color OS 5.2 based on Android 8.1 Oreo. To be completely honest, I am not a huge fan of this iteration of Color OS. I feel the icons look a bit cartoony with a heavy overlay. The animation also seems a bit choppy and out of place! I am a bit surprised as I was totally in love with the Color OS overlay on the OPPO F7. It was smooth, fast, and looked gorgeous! I don’t know why OPPO decided to change it but I don’t like it one bit. A software update could definitely change that! Android Pie may be? 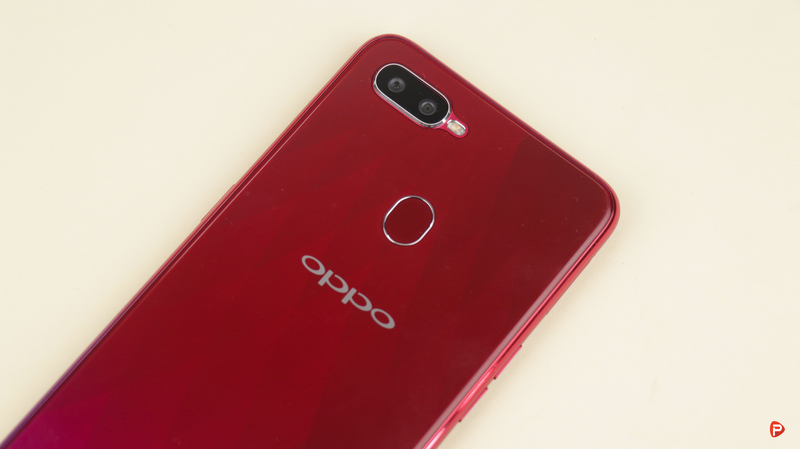 The OPPO F9 also comes with a fingerprint scanner embedded into the phone’s back panel. I was easily able to unlock the phone in no time at all. It works that well! The phone also offers a Face Unlock feature for a more convenient mode of unlocking. It works meticulously as I was able to unlock the phone with just a glance. In the camera department, the F9 packs a rear dual-camera set up combining a f/1.8 16MP and a f/2.4 2MP lenses. 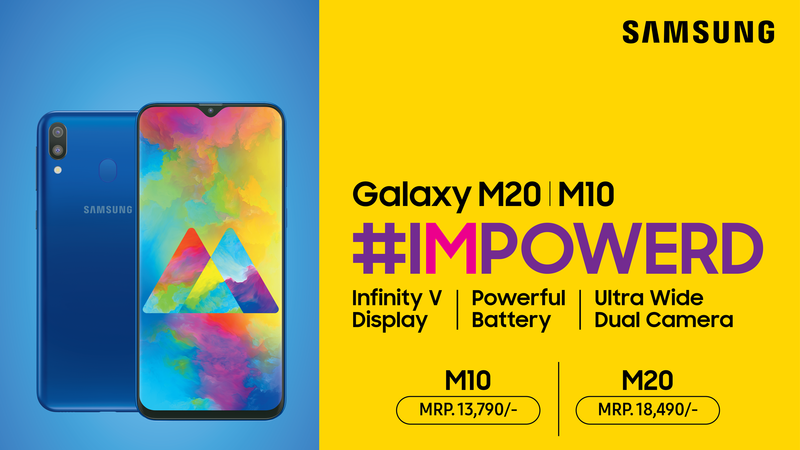 The phone also packs a f/2.0 25MP front camera for all your social media ready selfies. Images taken by the cameras were very good with an exuberant amount of vibrancy, sharpness, and depth. With my limited time with the phone, I was somewhat surprised by its low light capabilities. The phone was able to take some amazing shots even under less than ample lighting conditions. I will cover the camera more vigorously in our full in-depth review. On initial impression though, I am impressed with the camera offerings of the OPPO F9. And finally, powering the device all up is a 3500mAh non-user removable battery. The battery life of the phone was amazing in my two days of use. I got somewhere around 4-5 hours of on-screen time with the phone. That said, I do wish OPPO had included a USB Type-C port, instead of the USB Type 2.0 port. Although having the VOOC charging adapter is an added bonus for this phone. It helps to get the phone juiced up a bit faster! 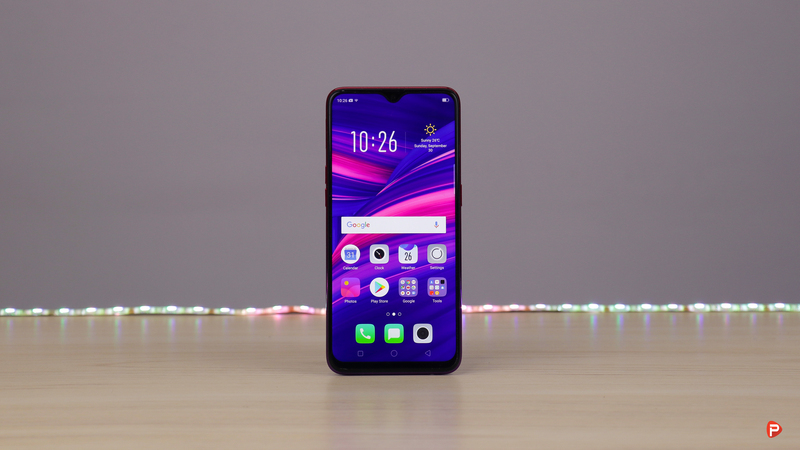 The OPPO F9 is a great premium mid-tier smartphone that has a lot to offer. It takes a lot of cues from the OPPO F7 and builds on it. OPPO is brandishing the F9 as a camera and battery phone and I can see why! The battery life and the dual-cameras are amazing and I absolutely adore them. The new waterdrop notch and the diamond patterned gradient finish is a nice touch. It definitely helps the phone differentiate itself from the others! That said, I do wish OPPO had included a USB Type-C port instead of the USB Type 2.0 port that it comes with. This inclusion would have been the icing on the cake for this phone. But is the phone the best premium mid-tier smartphone among all the other competitors? Is the price well worth it? Well, it is still too soon to answer those questions. 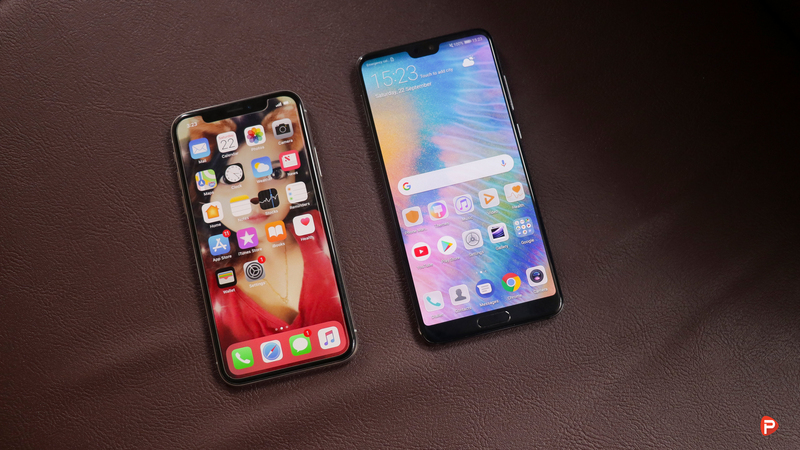 I will put the phone through its paces in the days to come and finally answer these questions for you guys in our full review. So stay tuned for that! One thing, though, I can say without hesitation is that the phone is one of the better phones under Rs 50,000 here in Nepal. Thank you for reading! 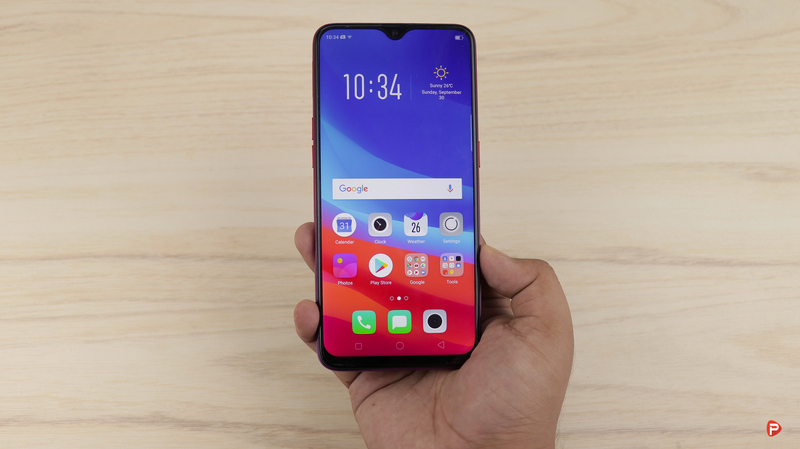 For more content on the OPPO F9, like our Facebook page and subscribe to our Youtube channel. If you have any questions or confusions, please feel free to ask them in the comments down below. We will answer them as soon as possible. 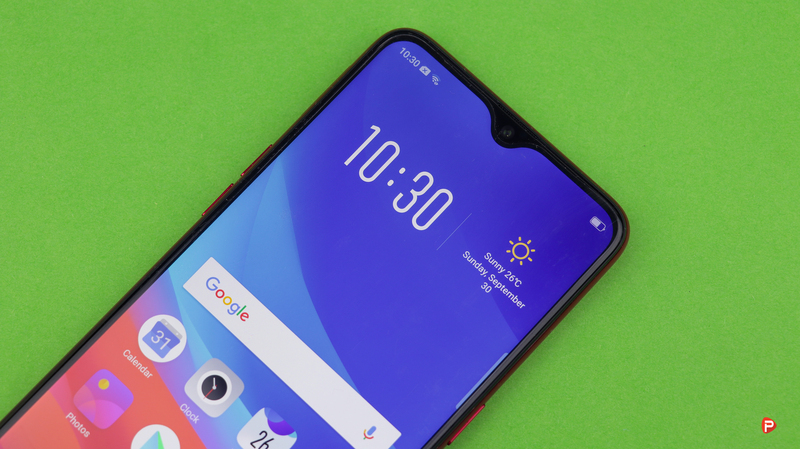 The OPPO F9 is a great premium mid-tier smartphone that has a lot to offer. It takes a lot of cues from the OPPO F7 and builds on it. The new waterdrop notch and the diamond patterned gradient finish is a nice touch. The design of the phone is also really good and the cameras are praiseworthy. That said, I do wish OPPO had included a USB Type-C port instead of the USB Type 2.0 port that it comes with. This inclusion would have been the icing on the cake for this phone.